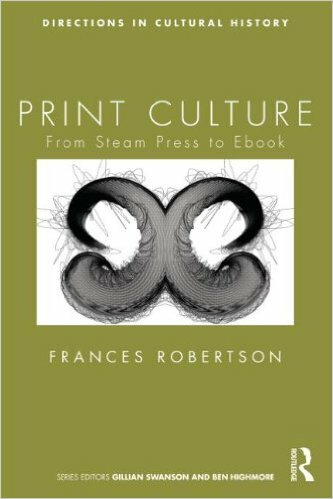 I recently reviewed Frances Robertson’s excellent book Print Culture: From Steam Press to Ebook, which is a very readable and well organised cultural history of the ways that we create and think about print. 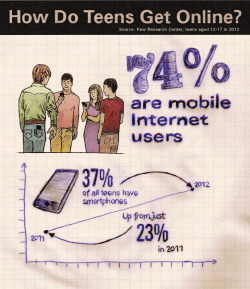 This kind of work is crucial in the early 21st century, as what we think of as “print” is rapidly shifting. 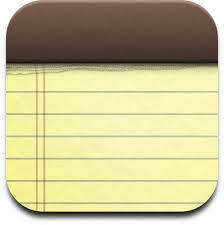 Think, for example, of iPhone “Notes” application, which used to feature a sans serif font and a background image of yellow, lined legal paper. That kind of paper was almost never, historically “printed” on with a font, but the way that users understand the app is tied into their cultural understandings of both paper and printed text.The app has recently been redesigned to get rid of the faux paper, but the design of text on phone and tablet apps is the product of years of accumulated culture around text and printing. Robertson explores the development of print culture, including specific advancements like moveable type, typefaces, fonts and lithographic printing, interrogating their histories and cultural legacies. In the process, she uncovers the ways that these industries have shaped our cultural understanding about literacy, communication and power. I thoroughly enjoyed the book. You can read my full review for free in an open access version archived via the University of Adelaide, or read the officially typeset version via Sage, although it may be behind a paywall.